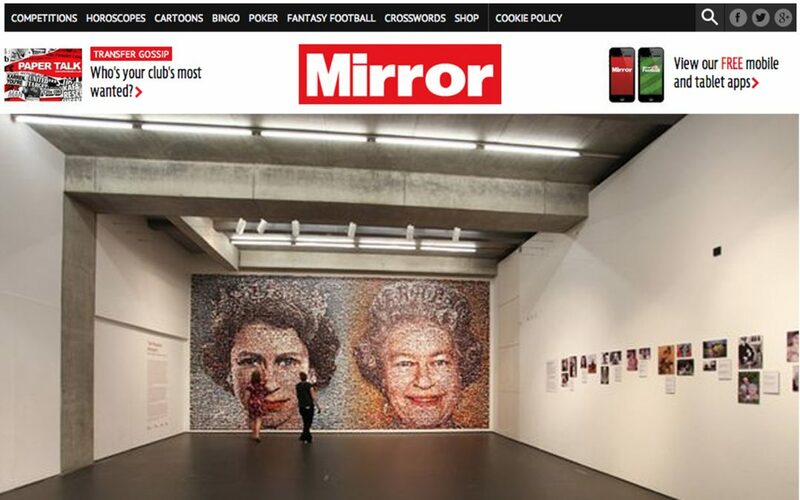 A mosaic of the Queen the size of a double-decker bus has been unveiled. The artwork, created to commemorate the Diamond Jubilee, comprises 5,500 of individual photos submitted by BBC listeners and viewers in the South East of England. Many of the snaps in the 38 square metre artwork submitted are family portraits or loved ones lost.